You did well in 2016. You pushed it harder than ever before and you relaxed some too. That was nice, right? Now it’s 2017 and we have a new president, new trade shows, new technologies, new business and YOU will have to find that next gear you didn’t even know you had to go faster, do more and remain in the lead. But how? And why must we ALWAYS raise the bar on ourselves and others? 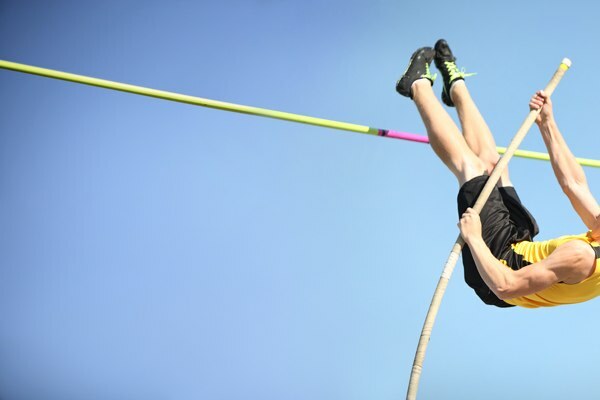 First of all, the term “raise the bar” comes from sports and refers to high jumping and pole vaulting with the bar being the top height of an obstacle and supposedly “the highest you can go.” But there are limits to how high you can actually go. Those are what we might call “biology” and “physics.” No such trivial forces are stopping us from finding that next gear in 2017 though. But it’s important to know what that means to YOU. You see, setting and raising bars is something we do to OURSELVES and it can be good and it can be quite bad, too. So what we’re really talking about is setting our own expectations. Now we’re talking! What if YOUR next bar looked like this — This year, our marketing is going to talk less and listen more, which will make us smarter This year, our marketing will not sacrifice long term relationships for short term sales This year, our marketing will have a stronger brand message that really resonates emotionally with our audiences. This year, we’ll think of the audience BEFORE we inflict our marketing upon them This year, we CAN be better. And we must. Because even darker forces (than marketing) are gathering their strength to stop any messages deemed unworthy by the recipient. 1. Blockers, Skippers and Unsubscribers — Ad blockers on every browser, Ad skipping features on TV shows and other content and extremely easy to use unsubscribe functionality add to the ongoing pressure and the challenge of producing marketing that people not only tolerate, but actually desire. 2. Big Brother Steps In — The FTC and the FCC will be busy creating a whole new set of rules to protect consumers from marketing’s deceptive ways/ 3. Trust Me — With the mass media’s trust level falling below 30 percent for the first time in history (esp political news media), PR will need to look for new fountains of trust out there. Hopefully these numbers will again climb outside of the presidential election cycle, but who knows? In 2017, all companies can find a new gear, but to do so will require courage, discipline and no small amount of empathy for their audiences — things that are usually absent from the marketing plan.